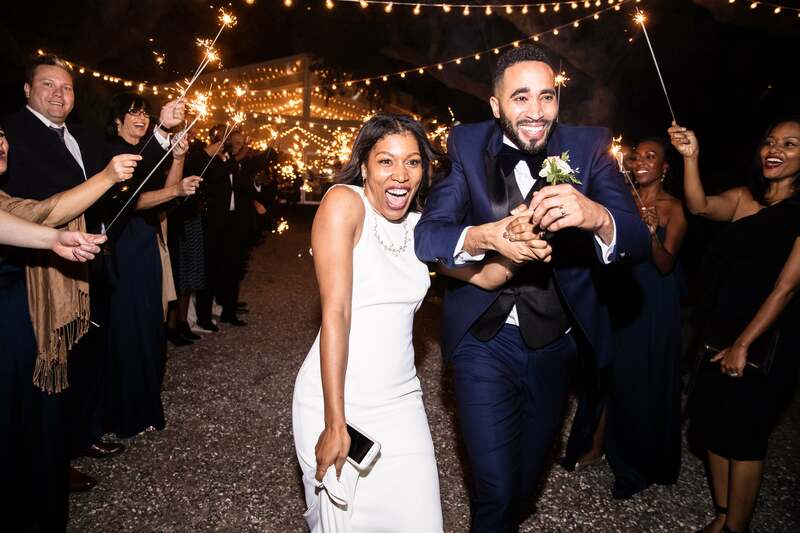 When the bride attended a Christmas party with a friend in 2015, she had no idea she’d meet the love of her life that night. 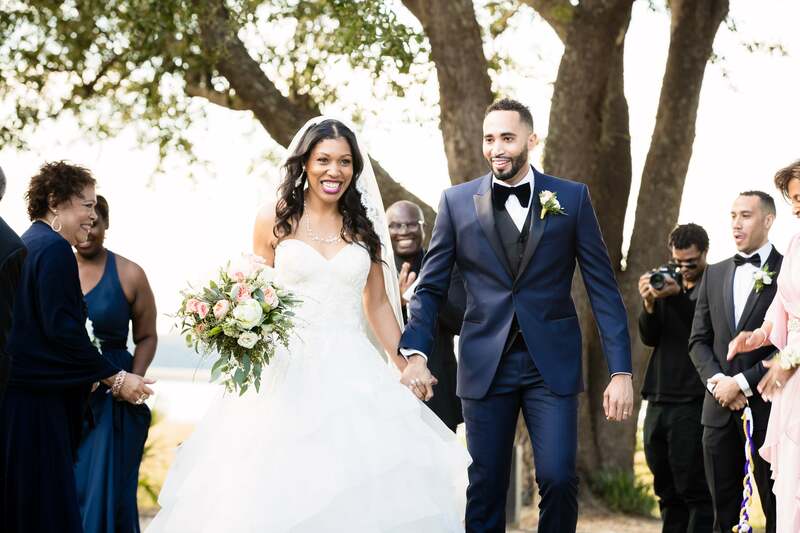 Two years later, the couple said “I do” in a gorgeous wedding and their photos are instant proof that true love dreams really do come true. Eventually, Aisha said yes, and it's been nothing but bliss since then! 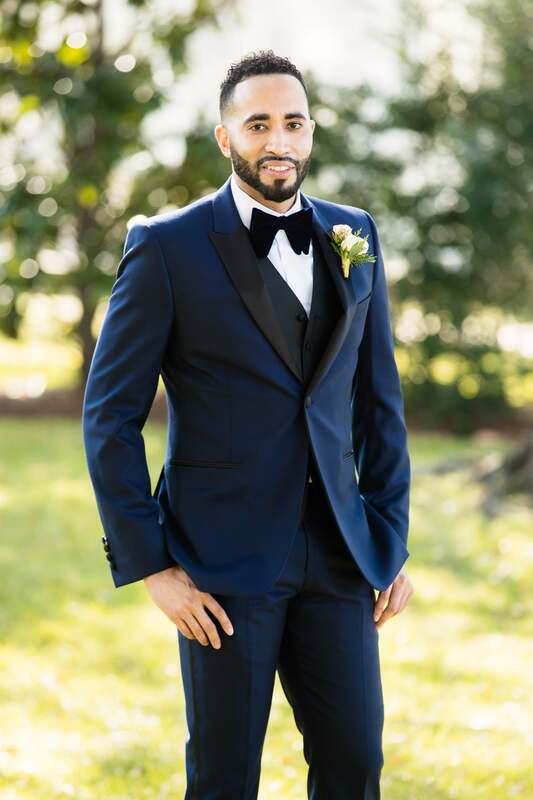 "My husband had a wedding dress shop across from his job. 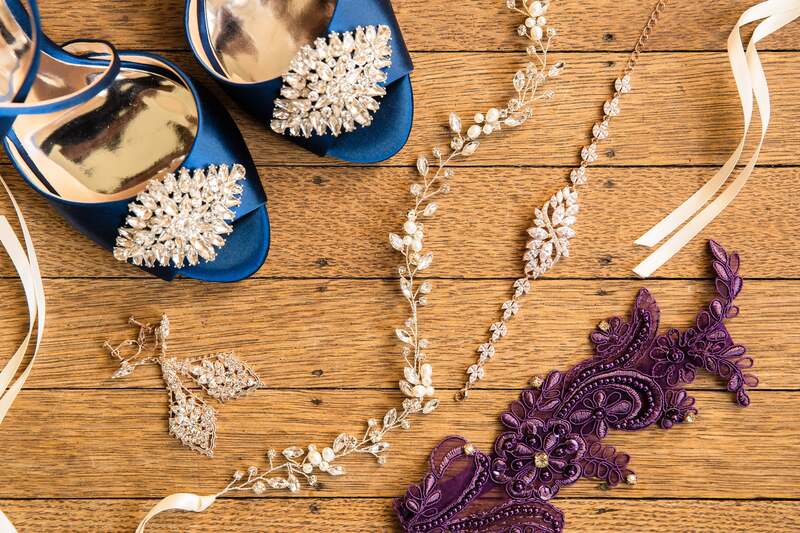 I went there and tried some dresses on and then the very last dress was the one," said the bride. "I wanted something special just for this day. I wanted to look like a princess." "A year after we met, we returned to the same Christmas party where we first crossed paths. He wanted to take me to dinner before we headed to the party for our one-year anniversary. At the restaurant, we had a table by the window overlooking the water, and he had the whole staff in on his plan to propose. Once we finished dessert, he kept trying to get me to get another drink. I said I was fine, but he was like, 'Let’s get shots! I want a shot!' When the staff brought over the shots, they also had their phones ready to take pictures. Curtis got down on one knee and proposed. I said yes, and the entire restaurant was clapping! It was a little awkward but very special. Then, when we got to the party where we first met, all our family and friends were there to celebrate with us. I was SO surprised. It was the most fun night!" 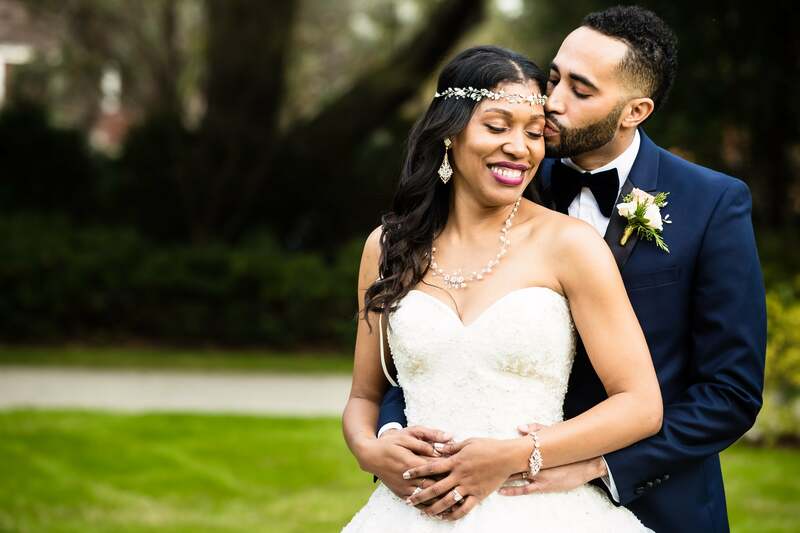 "Curtis is empathetic and loving," said Aisha to describe her groom. "He is a good friend and a good family member. He has the biggest heart of anyone I’ve ever met. He is trustworthy, and he is down for the ride!" 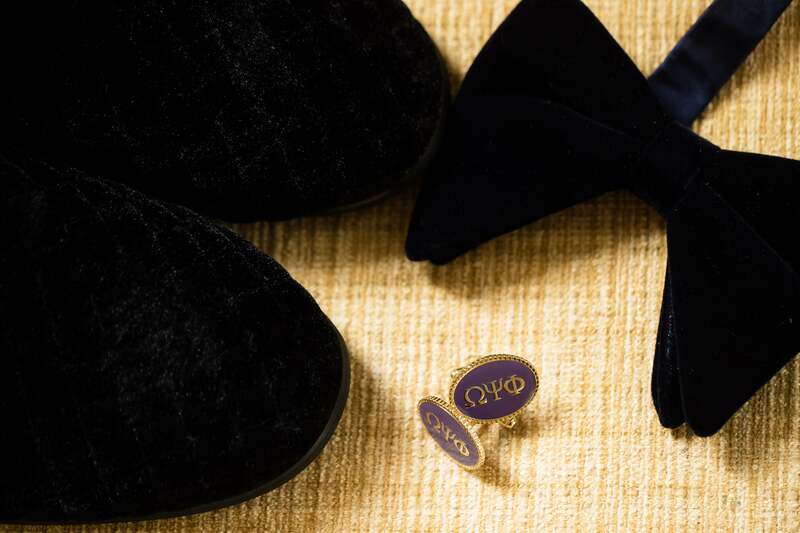 Curtis is a proud member of Omega Psi Ph Fraternity Inc., so you know he had to rep his organization on his big day! 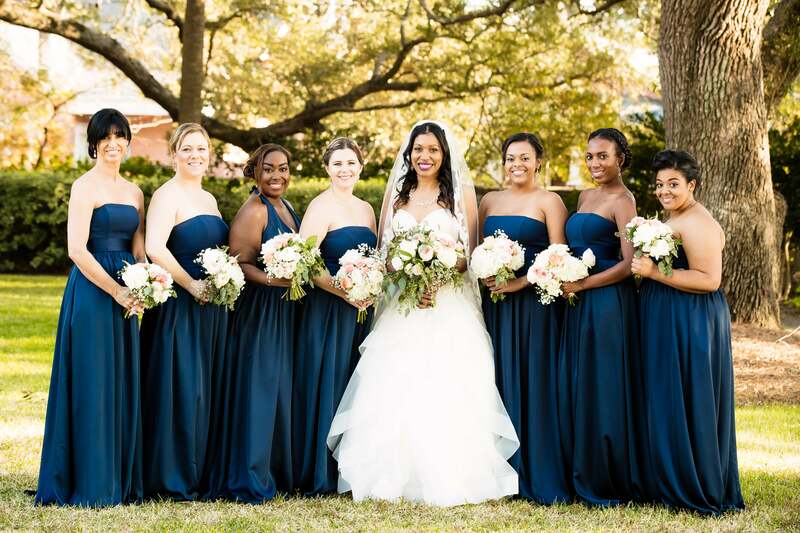 We are loving Aisha's gorgeous gown! 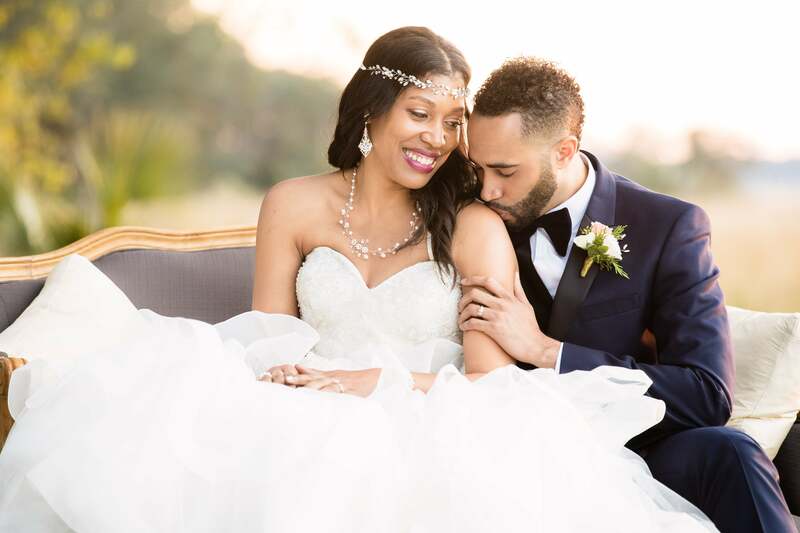 "I had navy blue shoes, a veil, a bracelet, earrings, and the necklace my husband picked out and gave to me the morning of our wedding." 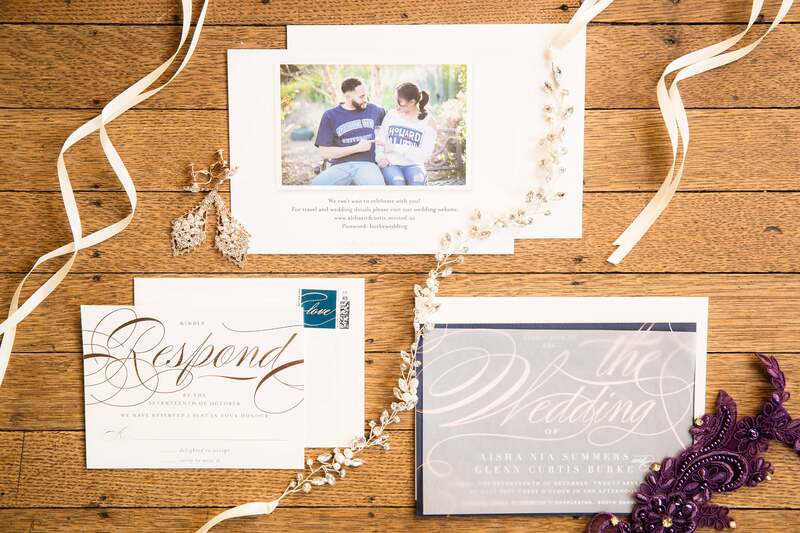 "I really wanted a soft, whimsical design for the day," said the bride. 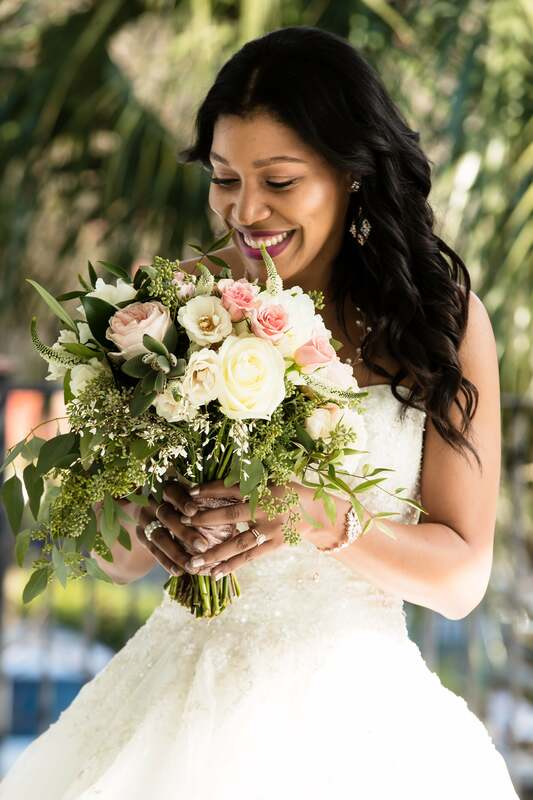 "My bouquet consisted of silver dollar and seeded eucalyptus, deep greens, white peonies, apricot garden roses, ivory lisianthus and a touch of white ranunculus. 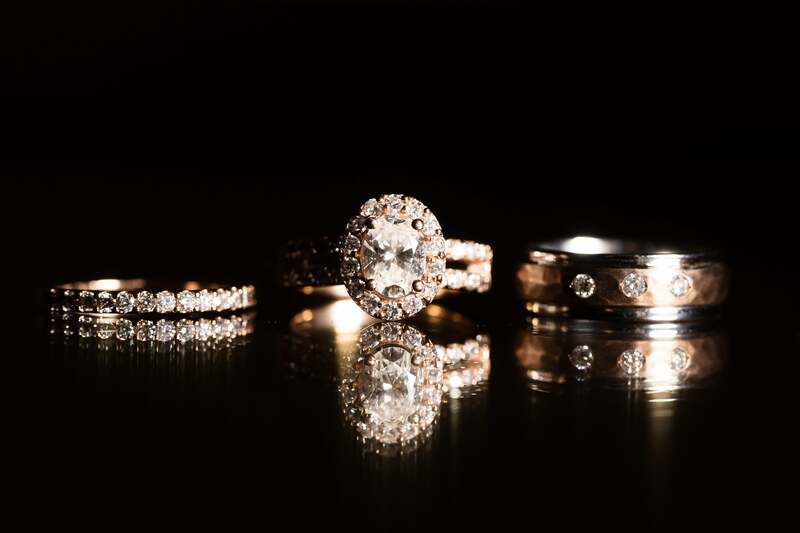 It was wrapped in a beautiful rose gold ribbon, which matched my rose gold engagement ring and wedding band." 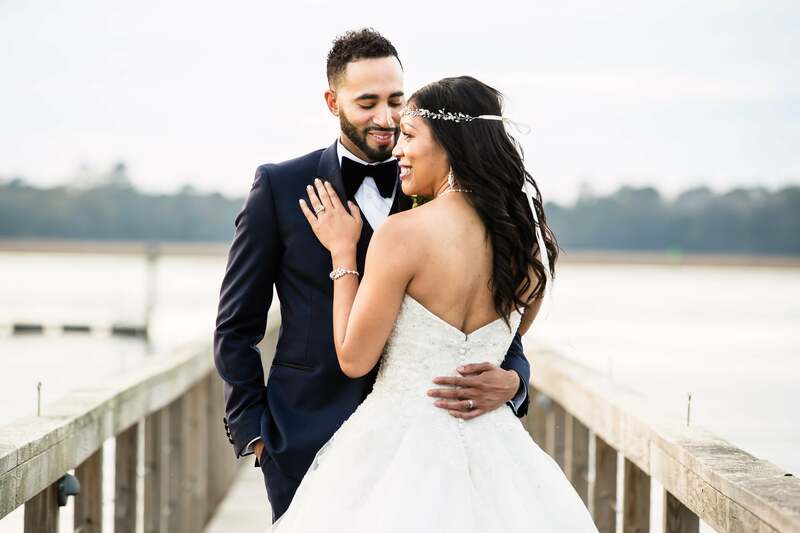 "Being a groom was stressful during the wedding planning because I wanted Aisha to get all that she wanted, but on the wedding day when I saw her walking down the aisle all the stress melted away and I enjoyed the day. It was all worth it." 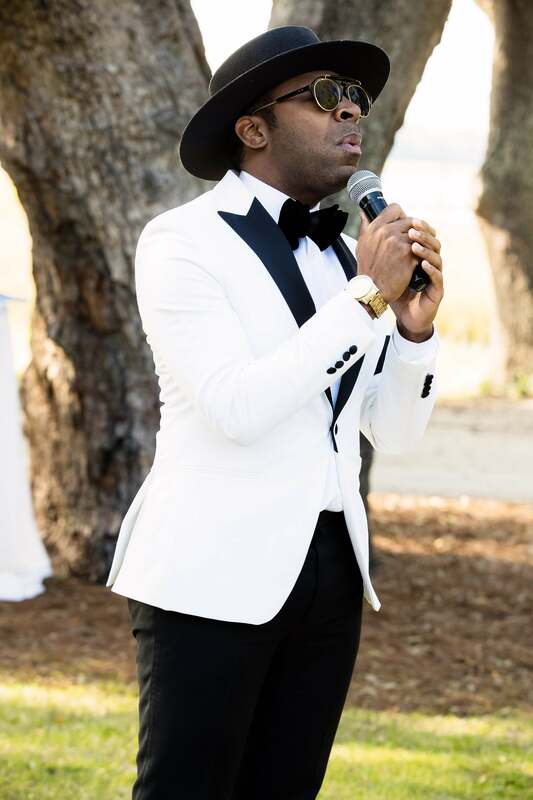 ESSENCE Fest performer Major sang his chart-topping song, "This is Why I Love You" as the bride walked down the aisle. "We had Major come and sing in person his song, THIS IS WHY I LOVE YOU. Curtis had picked the song and I surprised him with Major in person. 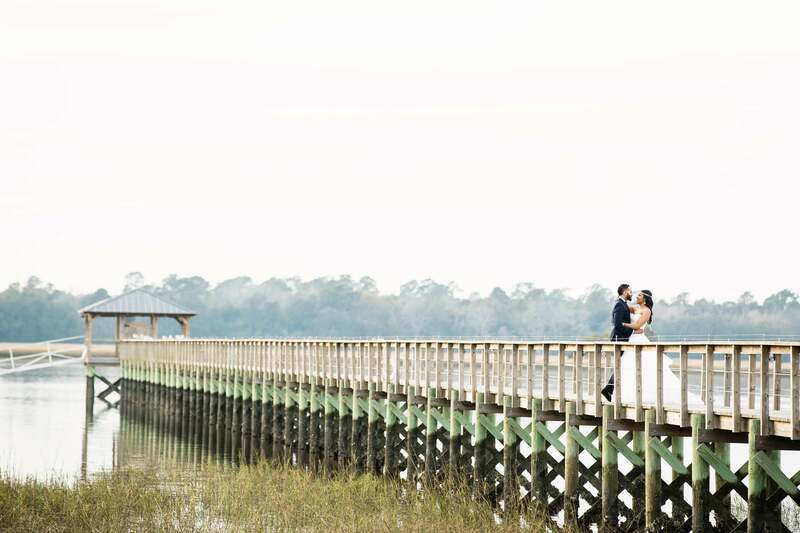 He did not see him until he started walking down the aisle." 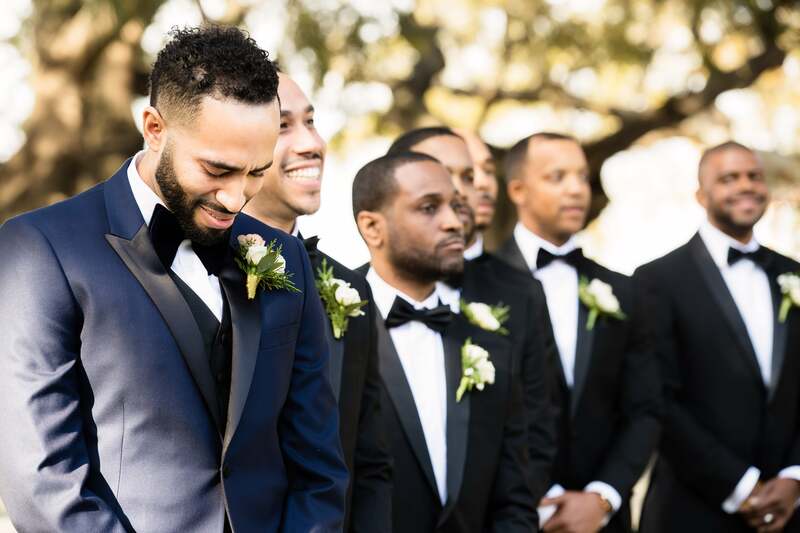 Curtis was overcome with emotion on his big day...and we love a groom who isn't afraid to shed a few tears at the altar. 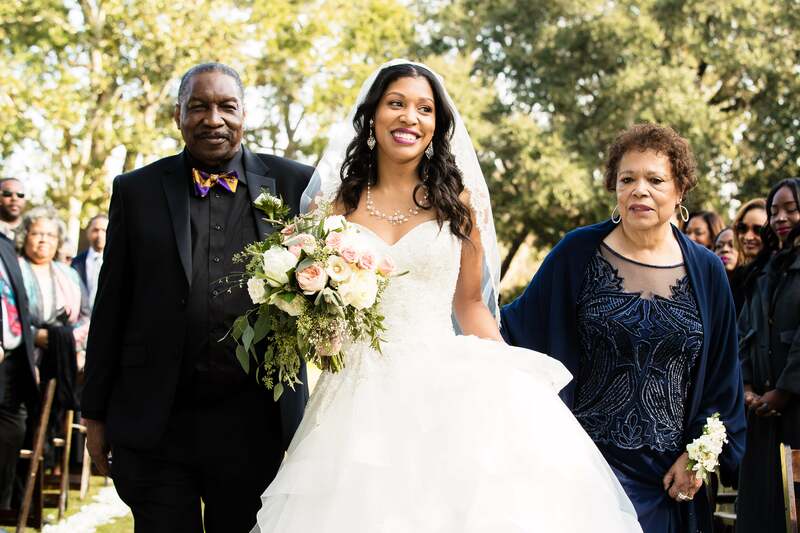 "Both of my parents walked me down the aisle," said the bride. "I felt it was important to have both my mom and dad by my side for this big moment." "I was overwhelmed with joy, nervous and a feeling of disbelief that we had really gotten this far. 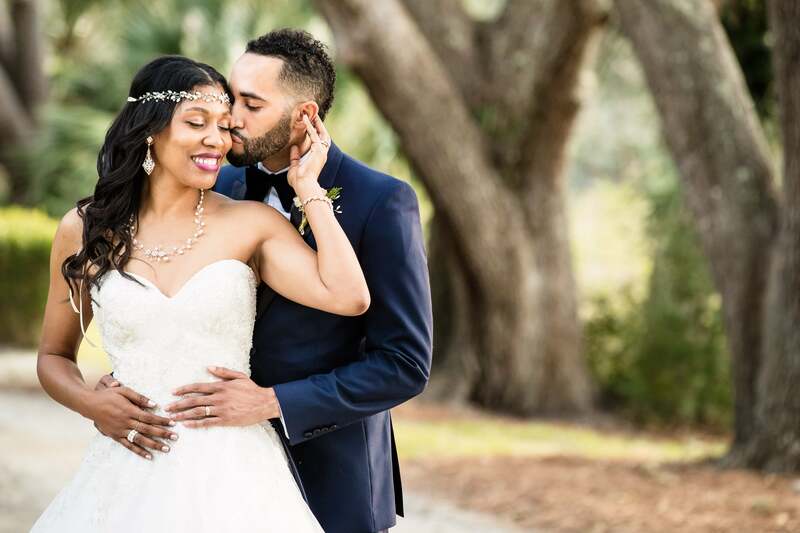 “I just felt really grateful and loved at the altar,” said Aisha. 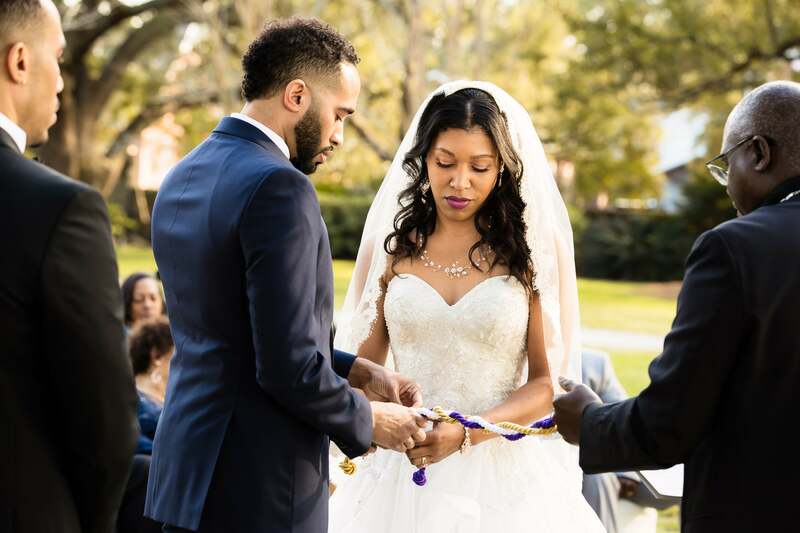 "We did the traditional tying our hands together to symbolize our connection, and we jumped the broom, which symbolizes sweeping away the past and welcoming the joining of our two families and our ancestors." "I said “yes” because I am so in love with him," Aisha recalled. "Before Curtis, I had never been able to be in a room with a man and be in complete silence and be at peace with it all." 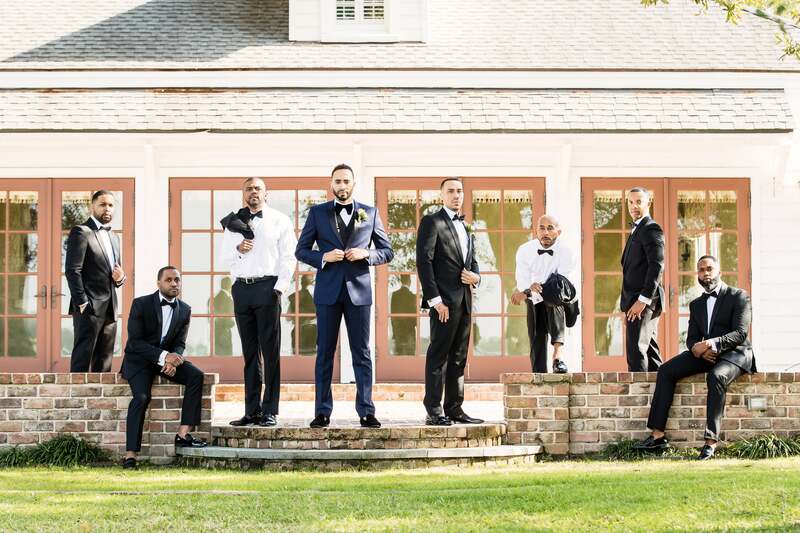 Curtis and his groomsmen are looking so sharp! 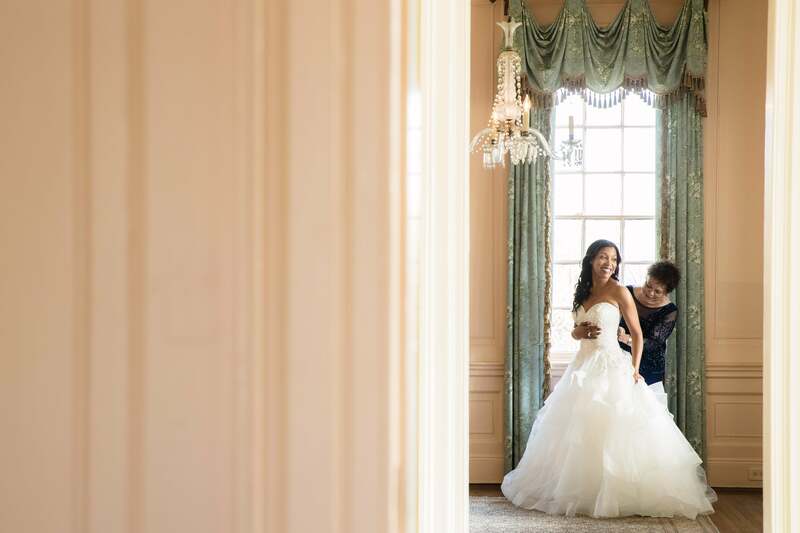 "My maid of honor was my best friend Karen. We have been best friends since our junior year at Howard University (HU). My bridesmaids were – my friend Toolie, we have been friends since the 3rd grade; Curtis‘ cousin, Kelly; THE Crystal who introduced Curtis and I and convinced me to go out with him; Lane, my good frined from HU; Rachel, my friend from LA who I met working at a yoga studio when I first moved out here; and Marci, my good friend from my hometown." 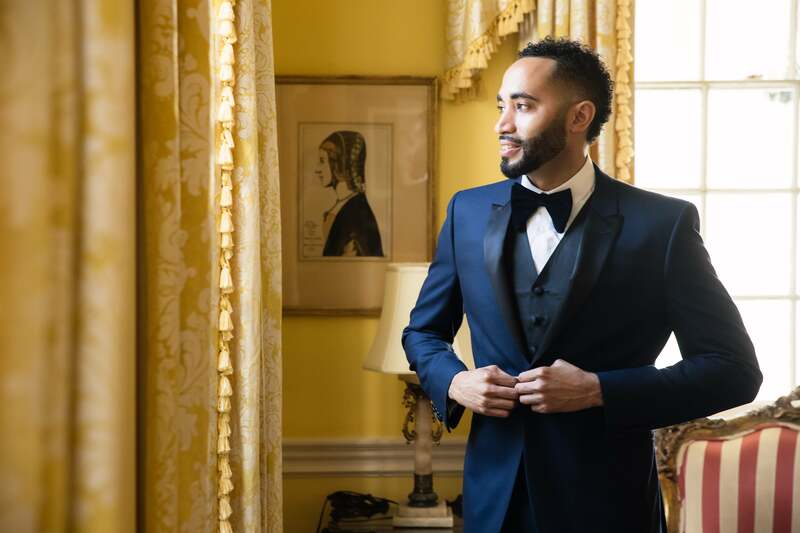 "I knew he was the one when after he took me home to meet his parents for the first time on Mother’s Day weekend," recalled the bride. "I met his family, I saw where he went to high school, I saw where he grew up...and I knew this was the family I was meant to be a part of." 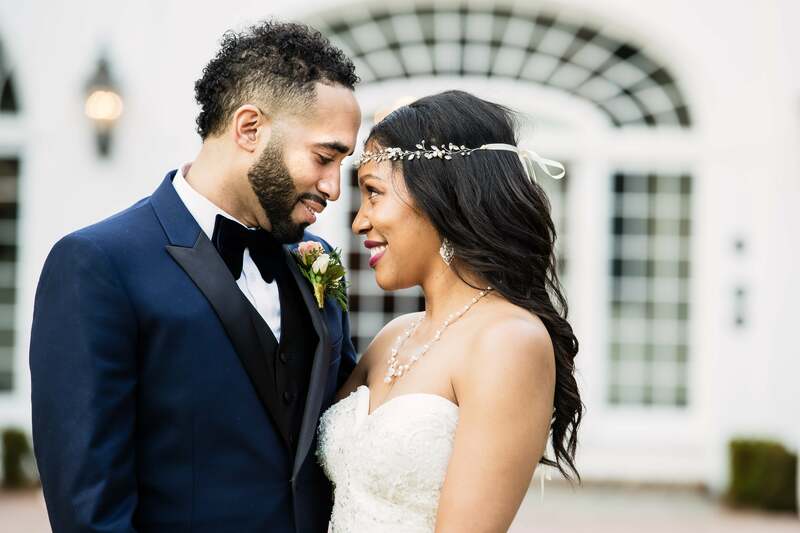 "She is smart, gifted, talented, very determined, and driven," said Curtis of his bride, Aisha. "She loves hard and is successful, caring, comforting and understanding." 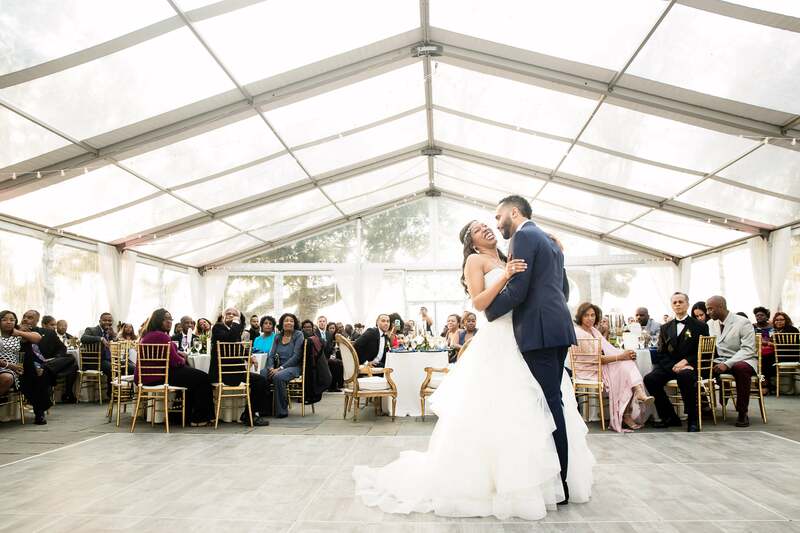 "I was not looking for love at the time so when it arrived I knew it was real," the bride shared. "I feel as though because I was not searching for it I was able to recognize the difference between lust and desire from what it really was for me." "When I drove up to Santa Barbara with friends to spend the New Year’s Day with her and we walked along the beach I knew I felt something different for her. 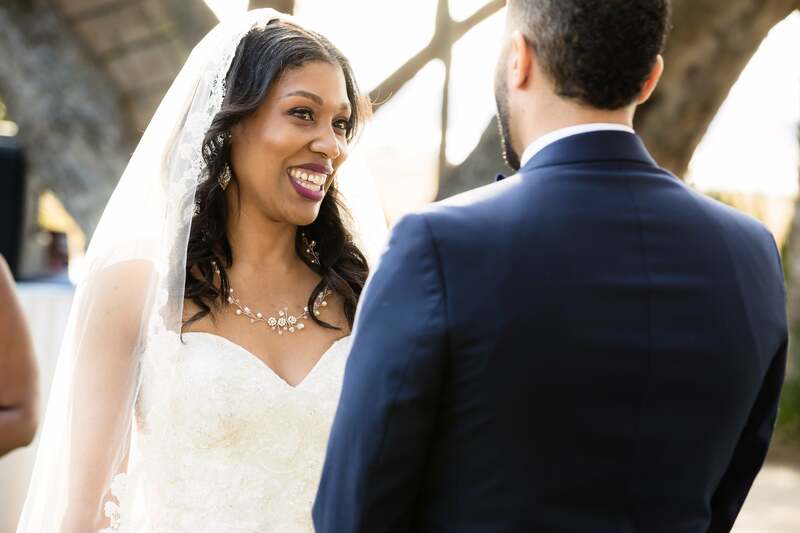 Then on Valentine’s Day, I knew I was in love, and by March when we attended her line sister, Jessica’s wedding I wanted to ask her to marry me then--but it was too early." 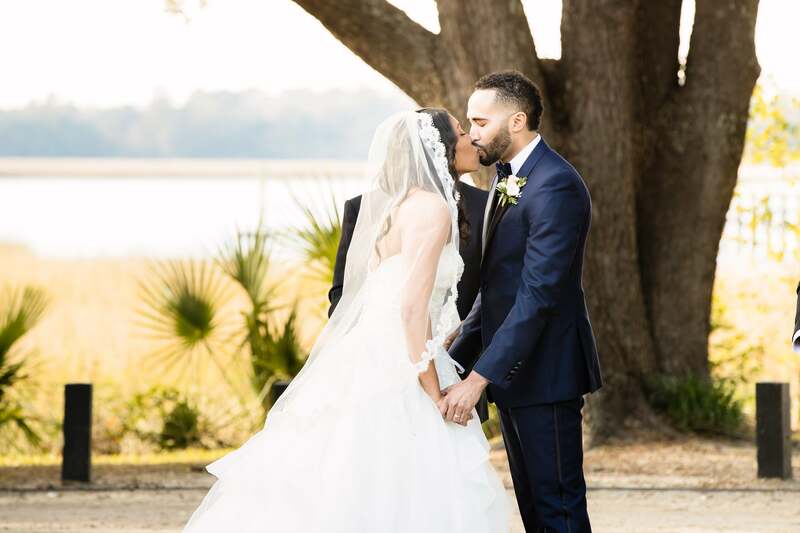 "Her passion about life goals is what I love most about her," said Curtis of Aisha. 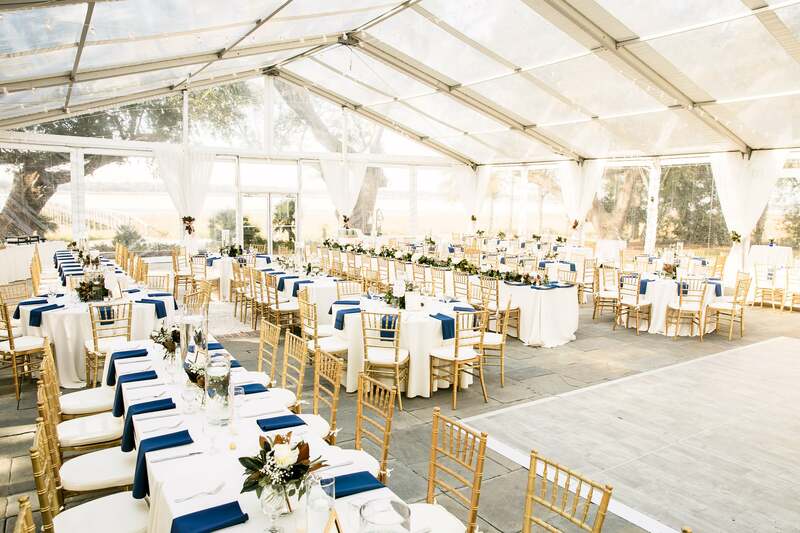 For their 150 guests, the bride and groom had a reception space that was full of southern charm! 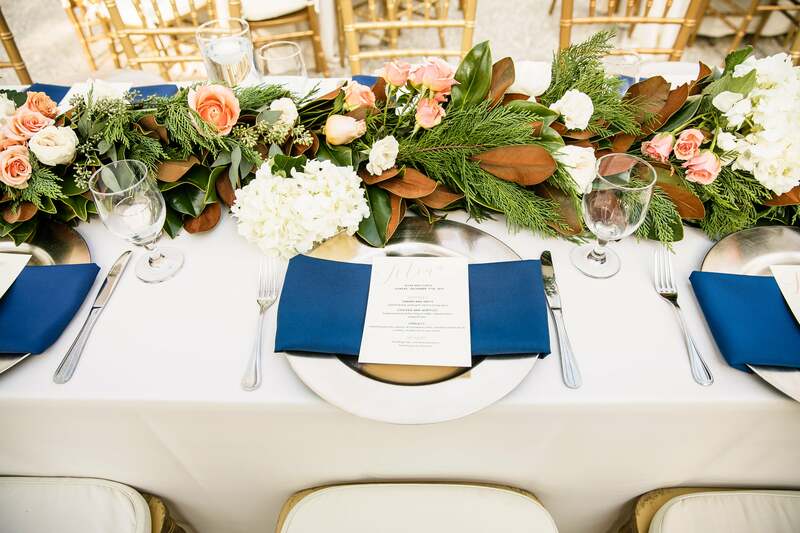 "We used soft tones of ivory with gold, with pops of greenery and florals for the table decor," said the bride. 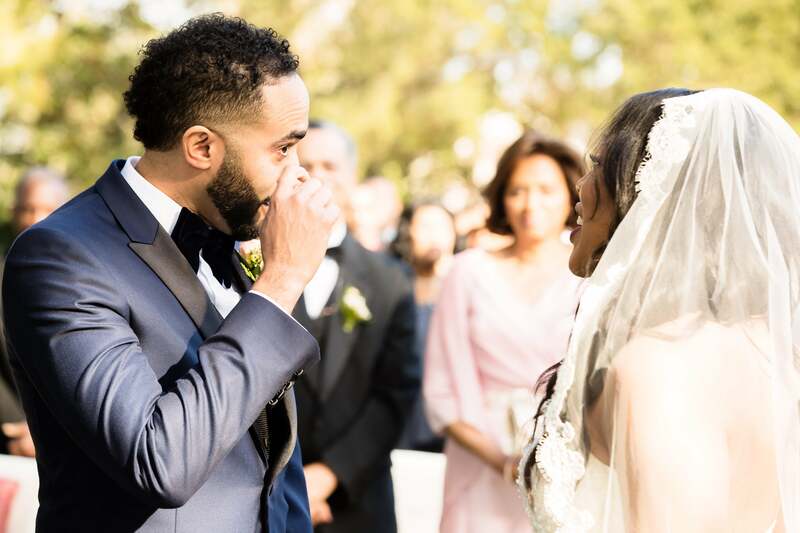 "Our first dance was a song was called 'HONEST,' performed live by Major." "We wanted something super simple. 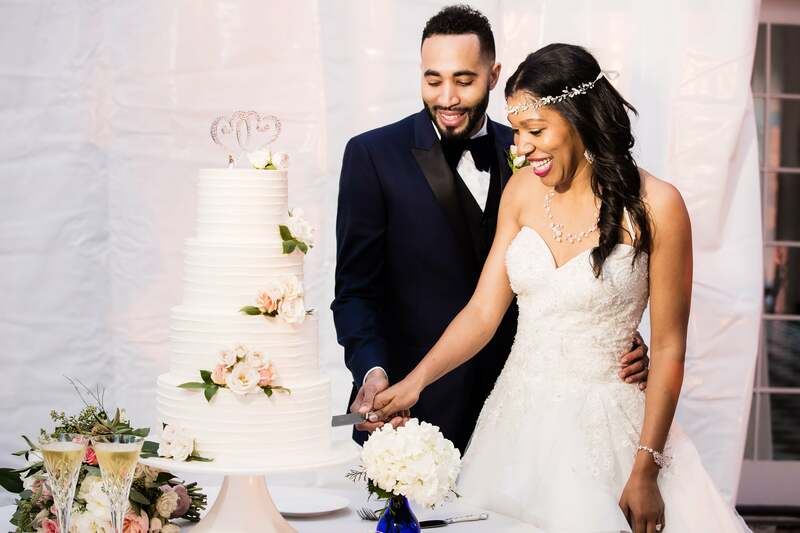 We originally didn’t even want a cake at our wedding, but my mother forced us to get one," said the bride. 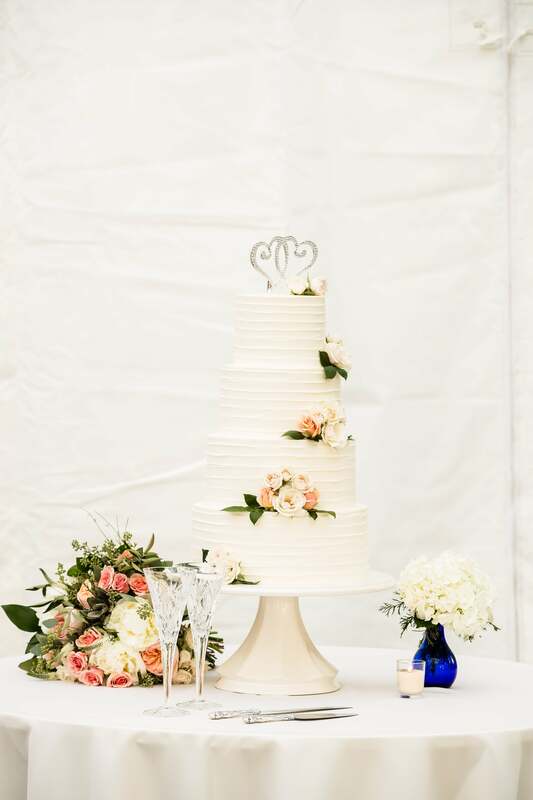 "We had three different flavors in our cake—rhere was a red velvet tier and a lemon tier. The frosting was vanilla."